Show us your Psi Chi spirit! Gildan heavy cotton raglan style t-shirt in colors navy and gray. 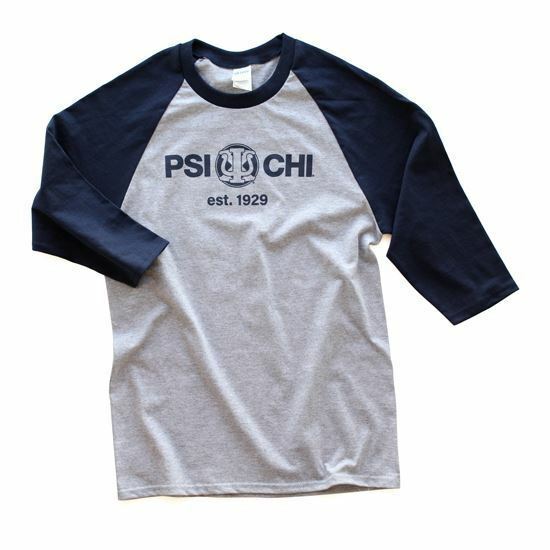 Psi Chi logo printed across front chest with the established date below in color navy.